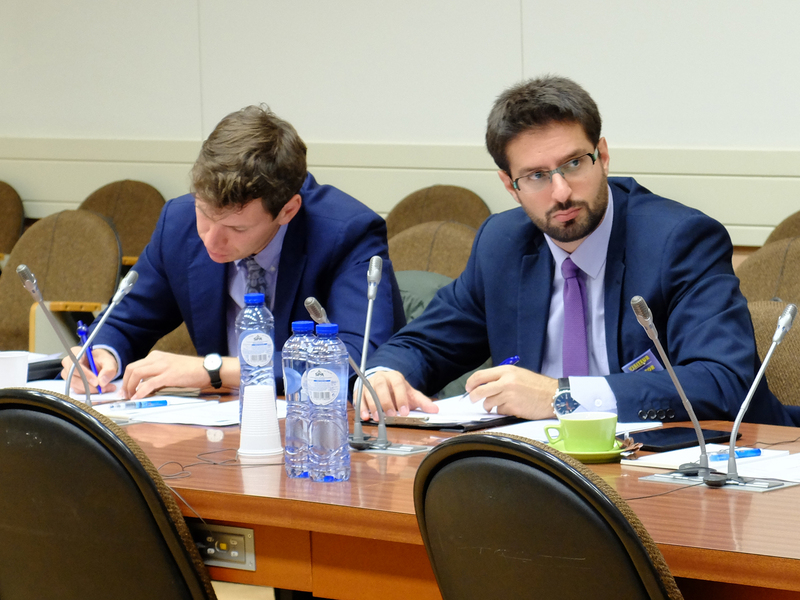 NATO Public Diplomacy Division in cooperation with the European Neighbourhood Council (ENC) organized a high profile closed-doors meeting of senior experts on Eastern Partnership that took place at NATO Headquarters on September 30th, 2016. Representatives from the think-tank community in Brussels and Paris, as well as in the Black Sea area had the opportunity to discuss the political and security environment of the region and its perspectives in the light of an increasingly aggressive Russia and surrounding instability. The discussion also included the aspects of NATO’s policies and its role in the area. Among the distinguished speakers were H.E. Ambassador Tacan Ildem, assistant secretary general at NATO; Dr. Gerlinde Niehus, head of engagements section at NATO’s Public Diplomacy Division; Samuel Doveri Vesterbye, managing director at European Neighbourhood Council (ENC); Paul Ivan, senior policy analyst at the European Policy Centre (EPC), Mr. Nicu Popescu, senior analyst at the EU Institute for Security Studies (EUISS),Sergiy Solodkyy, first deputy director of the Kyiv-based think-tank Institute of World Policy (IWP); and Vugar Bayramov, Chairman of the Board in the the Center for Economic and Social Development (CESD) in Azerbaijan. It also included Nino Evgenidze, executive director at the Economic Policy Research Center (EPRC) in Georgia, as well as Oazu Nantoi, programme director for conflict management at the Institute for Public Policy (IPP) in Moldova. Academics included Dr. Panayota Manoli who is Assistant Prof at the University of the Aegean in Greece, as well as security specialists like Jordan Bojilov, who is currently the president of the Sofia security forum in Bulgaria. Iulian Chifu, who is the president of the Conflict Prevention and Early Warning Center in Romania also contributed, as well as Andreas Marazis, the project manager and eastern partnership researcher at ENC. The roundtable was introduced and moderated by D. I. Afentouli, programme officer of Partnerships & Cooperative Security section at NATO’s Public Diplomacy Division and Steffen Elgersma, ‎officer at the Political Affairs and Security Policy Division at NATO. The purpose of this high profile meeting was to inform and exchange ideas on specific policy topics in order to improve inter-institutional dialogue between the EU and NATO regarding our Eastern Partners’ security dilemma, while also facilitating for more in-depth research, to support regional coordination among civil society stakeholders and to promote the necessity for stronger academic involvement in policy making. Apart from shared research and project coordination, the private event helped foster better inter-institutional roles and dialogues across EU and NATO bodies for possible cooperation in security sector reform and Eastern Partnership projects, as well as stronger parliamentary oversight.